Expired 4mo ago . Last validated 5mo ago . Used 59 times. margarita I am re-activating this expired deal. I will update it and validate that it works. For redeeming this offer. 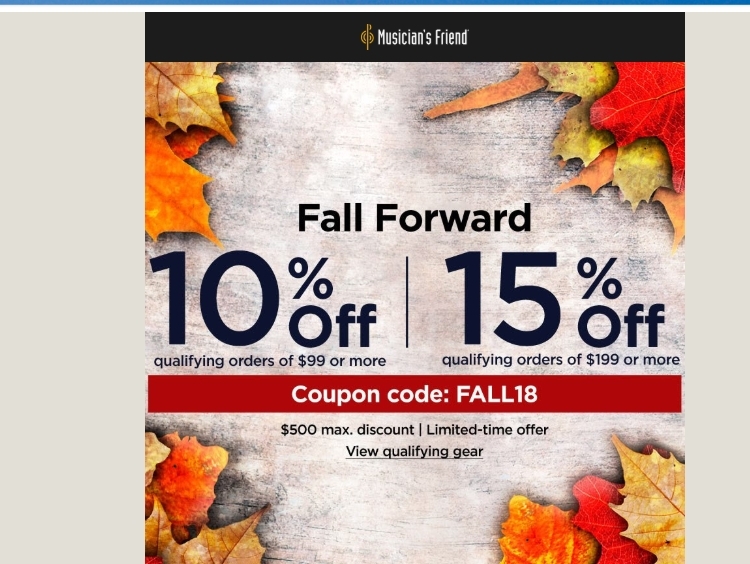 Add items to your cart and enter promo code FALL18 at checkout to get the discount. 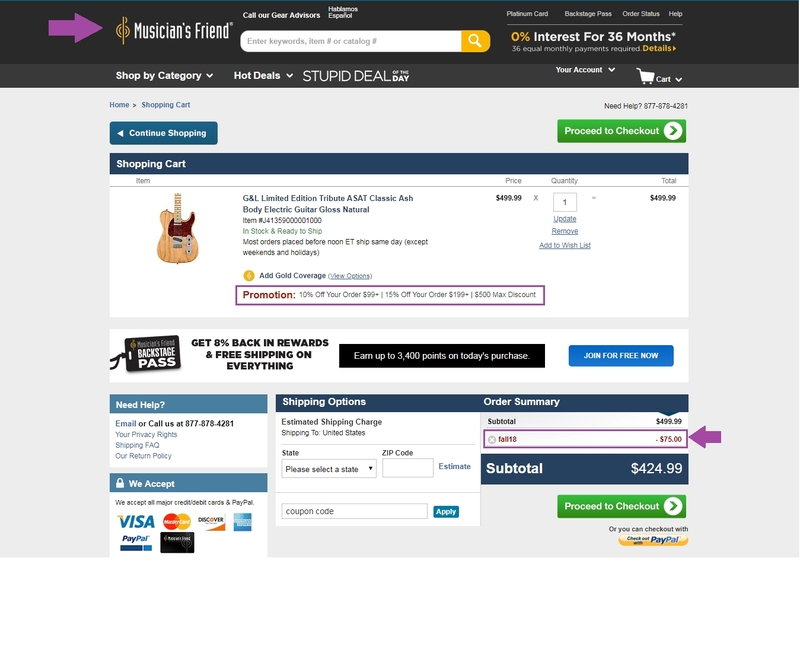 Fernanda At the time of the purchase place the coupon to get a great discount of 15% Off on Qualifying Orders Over $99 at Musician's Friend.